It has arrived folks, my favorite gift giving season!! I pride myself in knowing JUST what every friend needs for their birthday and get a LOT of joy out of being one of the most desired gifts at my annual favorite things party! 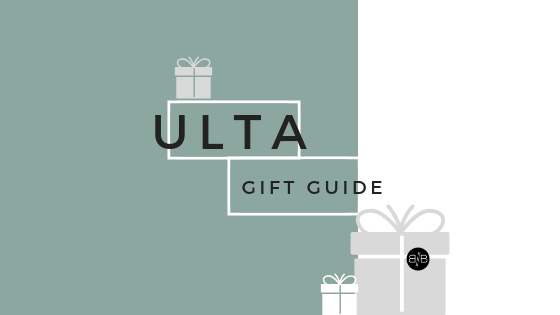 No matter what your budget or who you are buying for I have compiled only the best from the Ulta website for your shopping pleasure this season 😘 Quite a few of these sets can be broken up and split between daughters stockings or easily gifted separately for friends 🙌🏼 Most of all I can promise everything is worth the price tag and is something that I currently own, love and gift myself or something I have on MY wishlist because my research proves it is worth the while. Broken up by price point, I PROMISE you will find something that the beauty lover in your live will truly adore!! 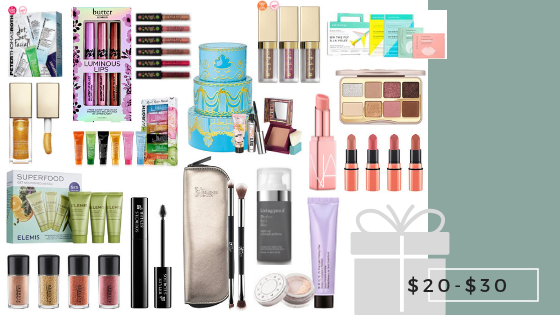 Under $10 : This may seem like a feat, but there are SO MANY items that I love from Ulta under $10!!! 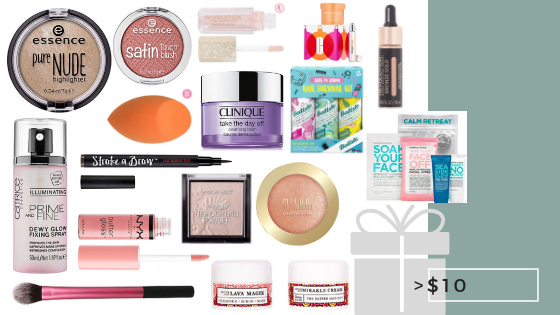 Stuff a few in the stocking or gifted alone they might cost less, but they ain’t CHEAP – every.single.item performs like a high end product and is something that I cross-my-heart-and-hope-to-die swear by! $10-$20 : I had to hold back in this category because there is SO MUCH to choose from in this bracket. These are all THE BEST OF THE BEST, I promise. A $15 eye shadow palette that will not sacrifice quality, the travel bags I cannot live without and a lip scrub set you can break up between friends that I prefer over LUSH!! $20-$30 : This price point is where the holiday sets start getting DOPE! 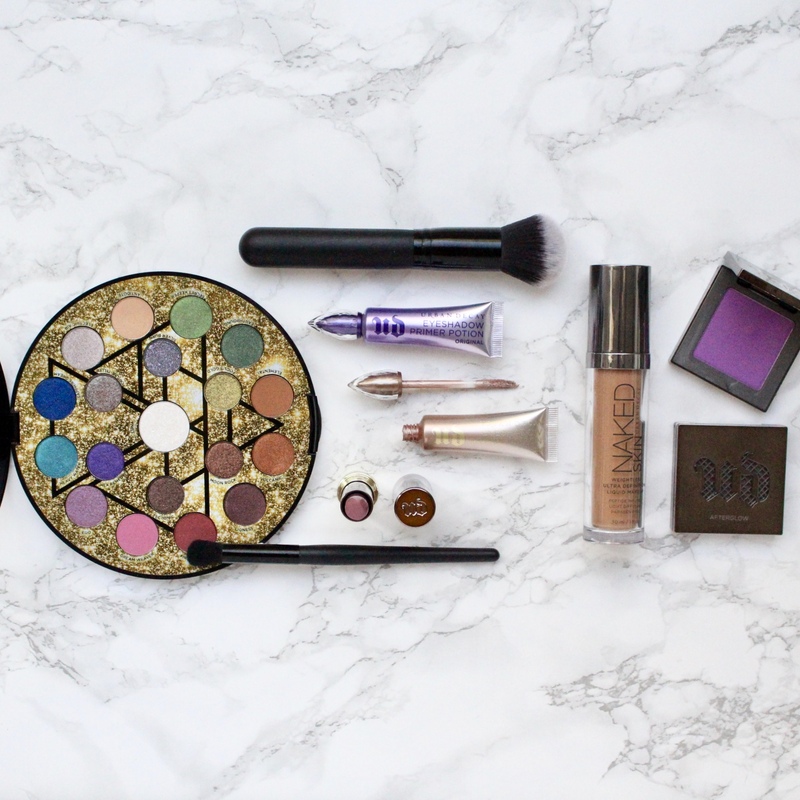 Whether you are looking for masks, lipsticks, brushes or the best brows on the planet, you’ll find it all here! 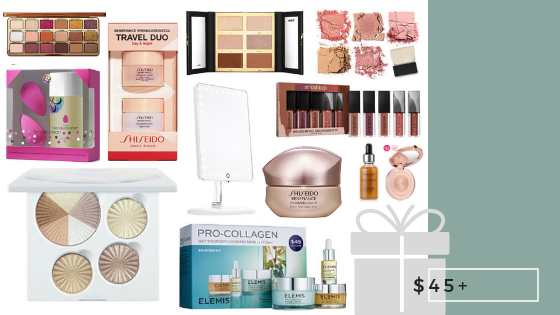 $45+ : You KNOW I am all about spoiling your gal rotten, but honestly I don’t think there is any need to spend more than $60 on a really beautiful gift!! All, but one from this list is less than $60, so you still won’t break the bank while gifting something super thoughtful and most importantly USEFUL. Here is the truth, I have never had to worry about deodorant, but LETMETELLYOUWHAT, newborn life and this postpartum body is a braaaaand new beast. This is the new me: I am a sweaty, sticky, stinky lady. The new me went on a mission. I knew I wanted something more natural since I spend a good part of my day with a baby in my arm pit & I tried ALL the top reviewed natural deodorants. My main take away was that they felt uncomfortable, they didn’t work or they caused me to break out in a itchy rash. After seeing incredible reviews from a few of my favorite influencers, I finally decided to order Kopari Beauty Coconut Deodorant for myself. 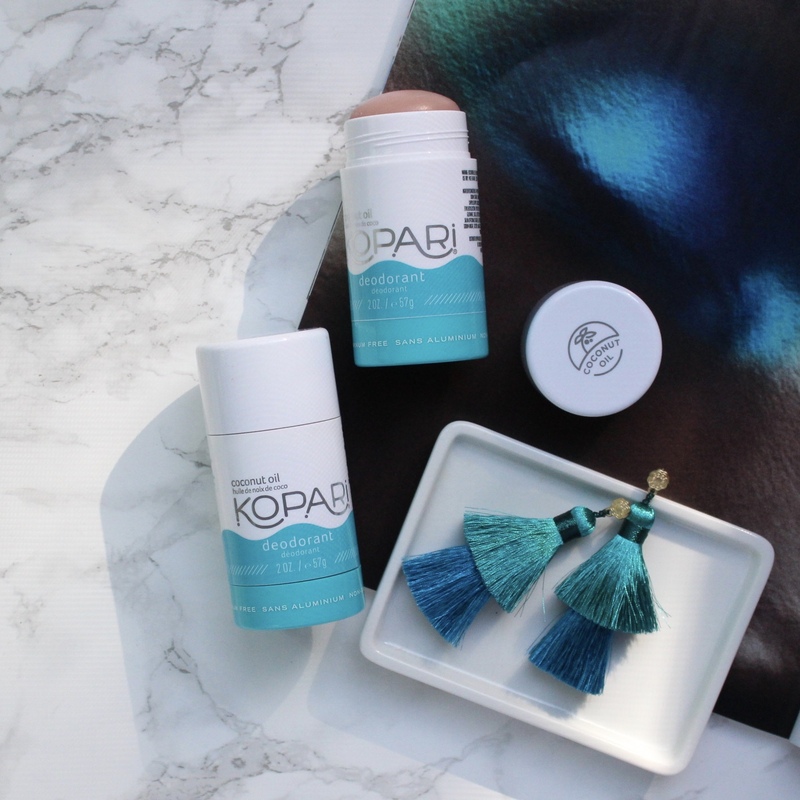 Fast-forward a few weeks and Kopari Beauty reaches out to me to give YOU ALL a discount code for a deodorant that took all my troubles away and that I genuinely love love love using!! I adore the smell, but most importantly it glides on smoothly, doesn’t leave a chalky residue and hasn’t given me any irritation! Besides that, it WORKS!! I apply before bed (helllllllo hormonal night sweats/nursing) and then a bit again in the morning just to refresh. Easy! CODE : KAYTI25 for 25% off your first deodorant order – stock up, you’ll want a few on hand and this code is JUST for your first order! Enjoy your new and improved pits babes!! 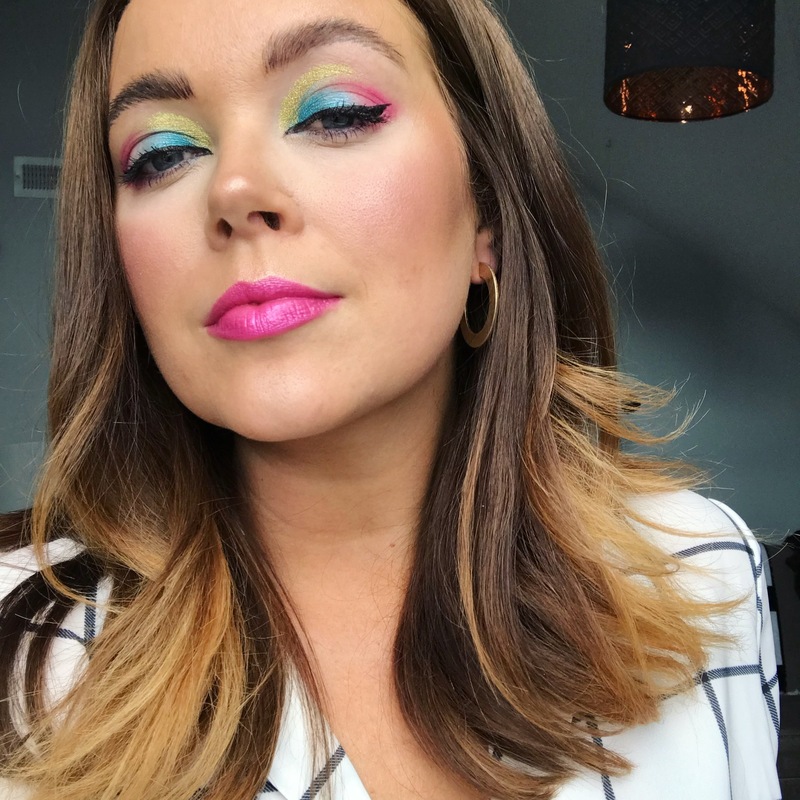 Here is the look that I created with this stunning palette and everything else pictured that you can still snag from QVC for a screamin’ deal! I love how this look turned out! !